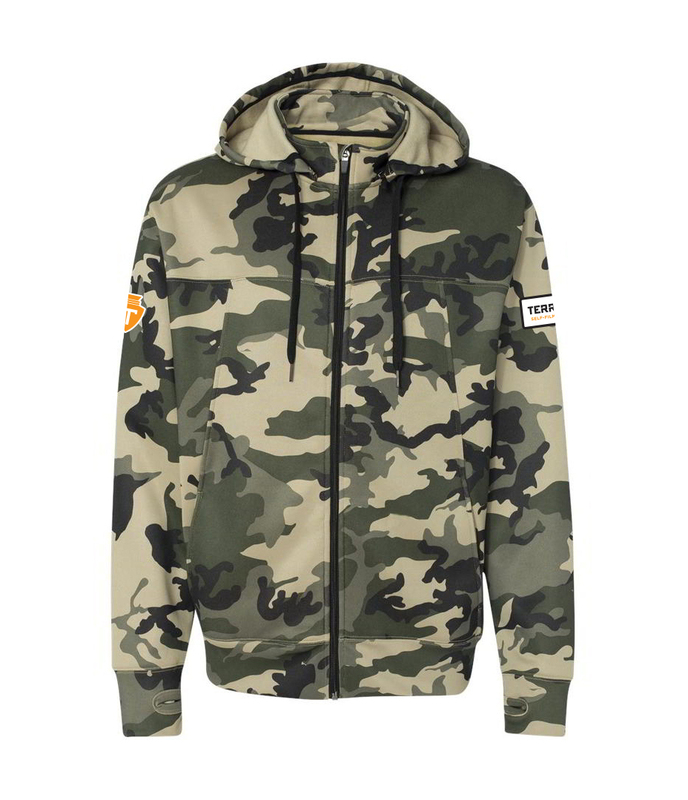 Standout or blend in with the camo Poly-Tech zip HuntHoodie. Accented with the Territory 3D rubber arrowhead logo patch and self-film patch this zip up hoodie with removable hood is perfect for all occasions. 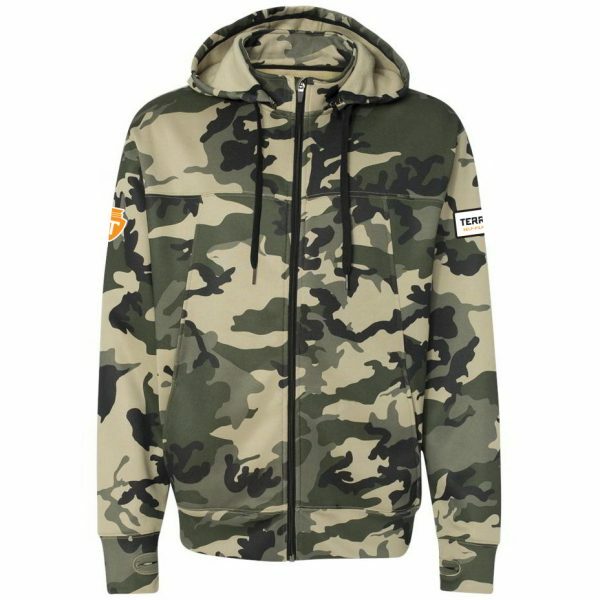 Water Resistant, 100% Polyester with Polyester/ Cotton fleece body.